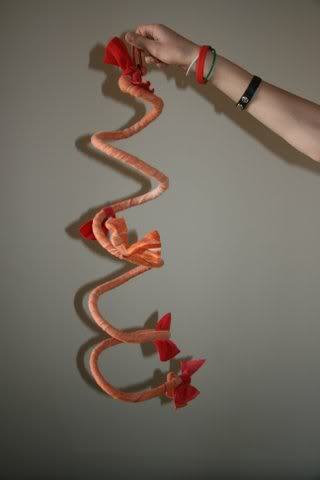 This simple to make toy will be much appreciated by your sugar glider or pet bird! Cut strips of fabric, wrap each strip around an electrical cable and tie one strip to the next. Tie a small strip of fabric around each end and wrap the cable around something round, such as a 2-liter, to form the spiral shape. Hang the climbing toy by a hook or lanyard clip from the top of your pet’s cage.